If you want to make your brand stand out in the competition, you need to look different. Different, not for the heck of it; but different with a meaning. Meaning, that serves a definite purpose-i.e. giving your brand a distinct brand personality that would ultimately translate into an impressive sales figure. Choose a 360 (degree) creative advertising agency: This would help you develop your brand strategically as such an ad agency has the essential expertise for it. A sound marketing strategy: Such an agency would develop a perfect marketing strategy based on a thorough & sound market analysis digging out the USP of your product or service. Defining your Target Group: Defining your Target Group accurately helps aim your communication straight at it, avoiding any waste. Delving into the psychographics of your Target Group is as important as defining the demographics. Digital Marketing –Advertising Agencies Help: Digital advertising is the order of the day. Using it alongside traditional advertising would get your brand a wider reach. 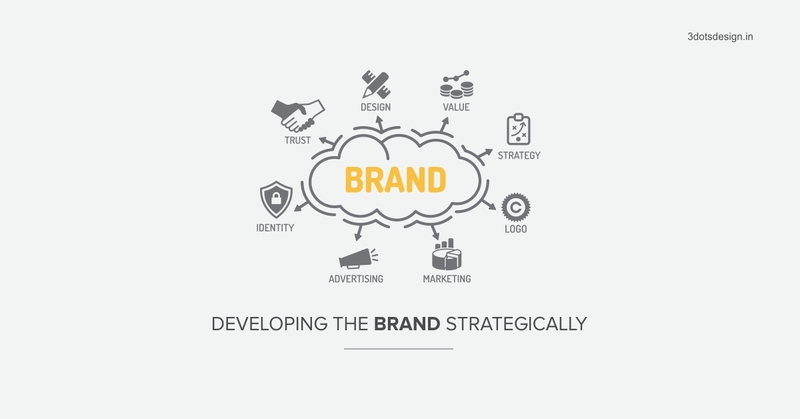 Identifying the brand position: Before you start the branding exercise, it’s crucial to ascertain the current status of your brand like the awareness about your brand, where does your brand stand in the market currently and where do you want to see it. and the goal you want it to achieve. We are a well known Brand Strategy & Planning agency and can assist you in your exercise. An appropriate blend of Designing & Branding: Advertising created with a perfect marketing insight that’s coated attractively with creativity does the trick. Such clever advertising appeals to the senses and helps increase sales. Connecting with your TG is a must. That’s why emotional communication tends to be more successful than a mere list of the features your product/service offers. So, being empathetic towards your TG makes all the difference. It betters the top of the mind recall too. When you empathise with your customers; it empowers you to translate the product/ service features of your brand into benefits. Obviously then, the customer can relate to your brand better since it addresses her concerns. Let your competition be: Criticising the competition through your communication is a bad idea. Doing so may do nothing better than just reminding the customers of your competition. Or worse, it could have a negative impact on your brand image. So, speak only about yourself and leave the competition alone! 3Dots Design provides 360 Degree solutions for all your branding requirements.